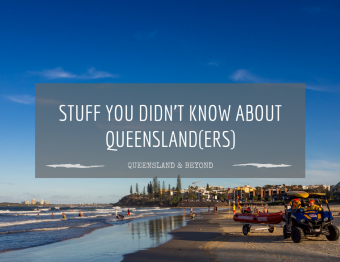 After having lived in Melbourne, Australia, for 13 years, moving to Queensland has certainly been a big change, both in pace and lifestyle. I’m still adjusting to the beach lifestyle but there are aspects that I just love about being here: where we are means I can walk or ride my bike to most places, we really do live opposite the beach, I don’t feel stressed out all the time, and oh the weather… yum. We haven’t done a whole heap of exploring yet but have managed to tick off a few “tourist” items, like Australia Zoo and some of the Sunshine Coast hinterland. We’ve done a couple of 4WD trips, the last one being probably the most exciting one. And lots of walking along the beach, mostly around sunset since it’s get dark so early here (5:45 pm now). I can’t wait to explore more of Queensland low-key style!